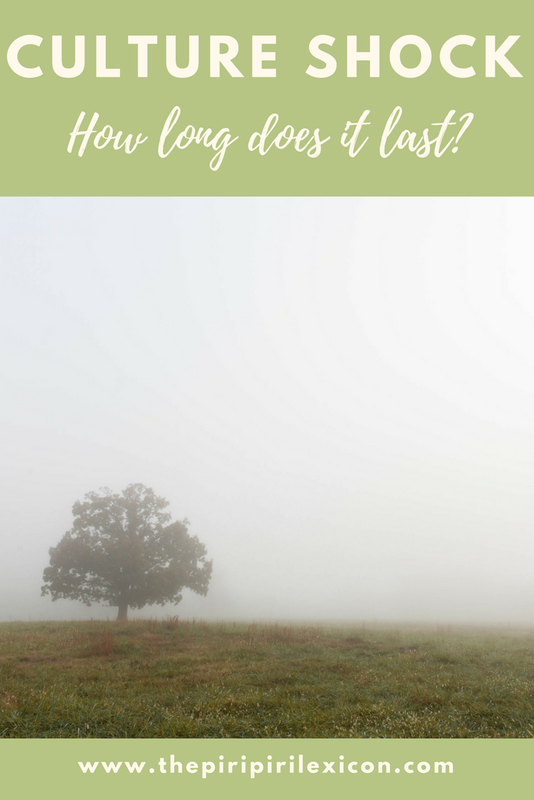 Culture Shock: how long does it last? 6 years ago today, we arrived in Germany with a 14-months-old, a moving lorry and one job. 6-years-ago today, our life, my life, changed drastically. After 6 years here, I can, I think, finally say that we have arrived. That culture shock roller-coaster is/was not an easy one to ride. 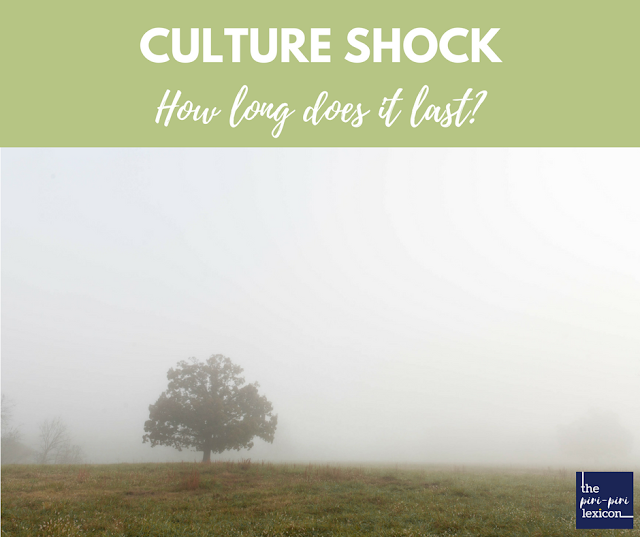 Culture shock is "the feeling of disorientation experienced by someone when they are suddenly subjected to an unfamiliar culture, way of life, or set of attitudes." And yes, culture shock can certainly happen within Europe, or while moving to a culture you thought you knew. There is no need to jump continent (although I am sure that makes it even harder). For the past 6 years, I have been going through all of the culture shock phases. 6 years? Yes, I think this is really what it has taken me to actually be comfortable/happy living here. The literature will tell you that culture shock is totally normal. The process of moving to a new country, new culture will take you through several phases. The honeymoon period when everything is great and you discover your new surroundings. You love your new house, you visit all the new exciting sites around, etc. Then, gradually, you sink into a frustrated and annoyed state of mind where you start noticing all of the differences between your old culture and the new one. You can even start feeling angry and resentful. This phase is often quoted as happening around the 6 months mark. Whether we like to admit it or not, we all go through this phase on some level. Finally, once you have learnt to accept the new situation, you move on to the adjustment stage. It is really hard to put time-lines on these things as we all move at different paces in our lives and personal events play a big role in these stages. Germany was never going to be long term for us, for me. The honeymoon stage lasted quite a while (much longer than 6 months in any case). I love the child-rearing philosophy here. I love the central location of where we are to travel and many other things. I had reinvented myself. I went from academia to self-employed. I was dabbling into making multilingual stationery and had quite a successful little business run from home. I had become a career chameleon and that was fun. I had survived 2 years with minimum friends and acquaintances (I am an introvert so that didn't bother me too much). Yet, somewhere around the 2-year mark, life became tough. I am not sure what changed then. Maybe it was the fact that the husband was travelling more and more. 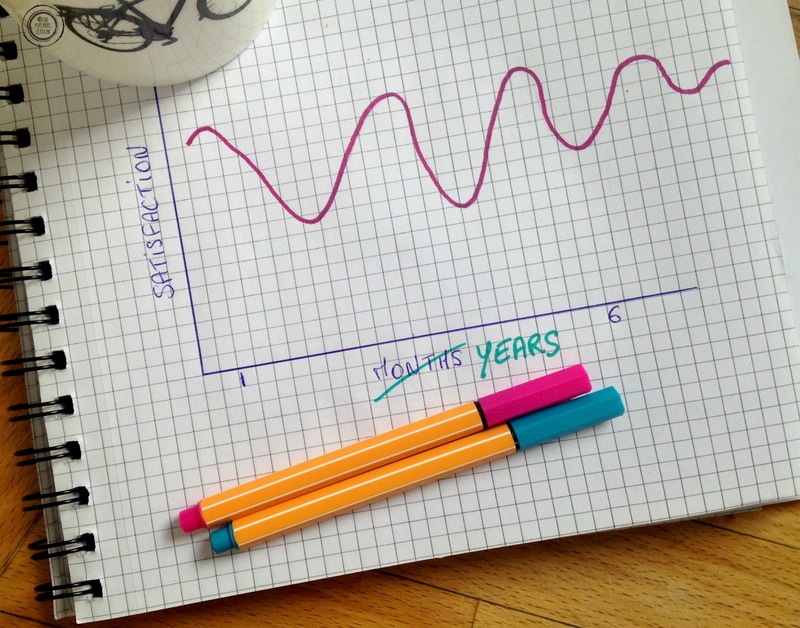 Maybe it was the fact that I saw the 3-year mark as a kind of make-or-break deadline in my head: my own personal cut-off point for staying longer term or moving on. Around that 2-year mark, though, something changed. I started getting really annoyed at a lot of things. I even wrote a post about how Germans are horribly rude. I know a lot of foreigners also feel that way, so I was in no way isolated. A blogging German friend also wrote about it. * A year later, I gave birth to my second child. The pregnancy had been tough and scary. When he was born, I had to drop my business. He was not sleeping. I had no support. Several family medical misadventures also happened during that time. And also school for our eldest was looming. School in a language I was not mastering well enough to offer her my full support. That was big for me. So how did I get out of this? Well, I didn't. Our tickets out were almost booked (literally). But one life event I won't go into, last year, made us really re-evaluate everything. We made pros and cons lists. I cried. A lot. We made choices. We took decisions. Brexit happened (killing the possibility of going back in this current climate). We mourned Britain. European schooling went from a dream to a reality. We found that one person you can drop your kids to in case of an emergency. We decided to stick to it for now. I learnt to live with the things I don't like here. Many of the positive things happened thanks to acquaintances who started to become friends. It took me that long (I am an introvert, I told you). I am not the kind of person who can ask for help easily. Germany still isn't our happily ever after kind of place. Or at least, I am not ready to admit it yet. However, I am happy to say that I think I am out of the culture shock phase. I am learning to deal with it all. 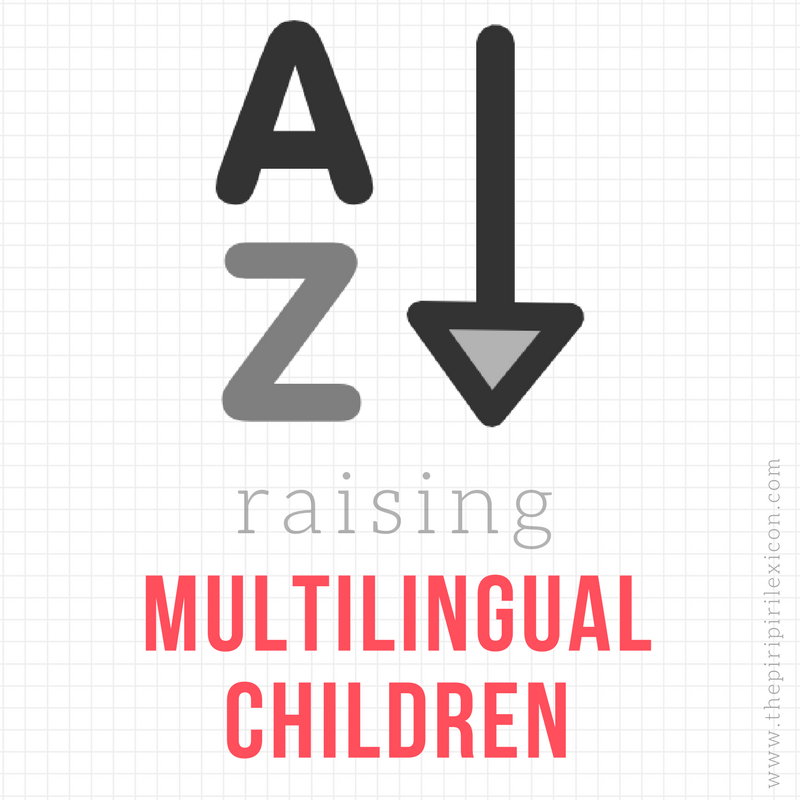 I am happy my children get this German-style childhood with our multicultural twist. I am thinking about my next career move. It is tough with little support and solo parenting so often but I will make it work (somehow). These culture shock time-lines are misleading. To me, they should be more like a giant roller-coaster ride that go up and down endlessly until you find your peace with the situation and learn to live this bi-cultural (or multicultural) adventure. *While it is ok for him as a German citizen to write it, I now feel it was not appropriate for me to do so. I have deleted that article. While the apparent German coldness still gets to me, I am learning to live with it. I do too. But I get slated everytime I say it. And after all, it doesn't matter. I am learning to live with it as I said. 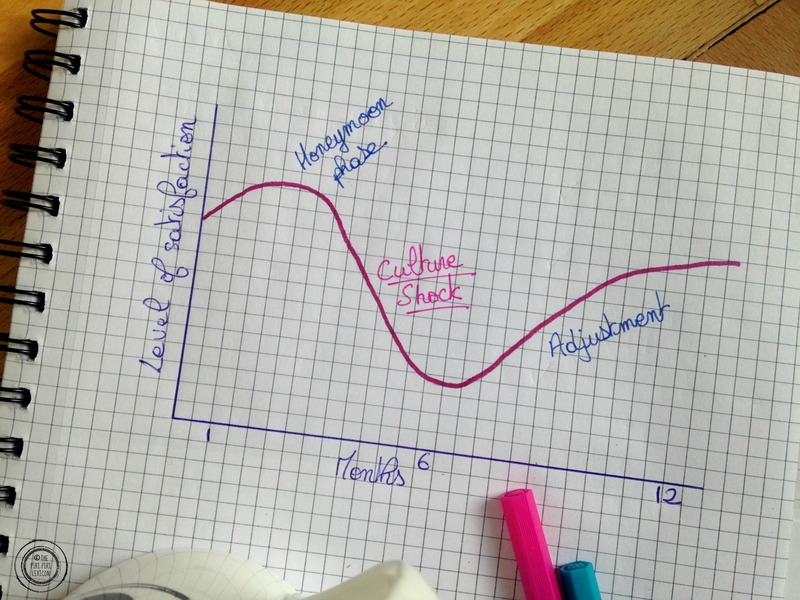 I have also discovered that the culture shock-time lines are very misleading indeed! It is more of a roller coaster, that lasts for years... I am at 3 years in the US (has a half German, half Italian) right now and can totally relate to your post. Exciting mix of cultures, I bet that is a challenge too. Glad you could relate. Makes me feel less lonely. By the way, I'm currently reading a book that you might enjoy, it's Heimat written by Liv Hambrett - an aussie's story of settling in Germany with all its ups and downs and struggles along the way. I'm half through and love it. I don't think I ever had culture shock in the U.K. Maybe it is to do with starting off as a student there as you did in Germany. Love the sound of that book. Will check it out. I really enjoyed this article as well. It was very open minded and reflective. And I agree though my path here was different because we didn't have kids the first 4 years so I've had two lives here in a way. And no experience with children in another culture other than my own childhood so German parenting with my childhood as a foundation is my default. I'm glad you are at peace. Thanks for your support. I think your experience in Germany is similar to the one I had in the U.K. No kids at first then parenting without any other experience. I don't remember culture shock then. Really can relate to this article and found it really interesting! !Not sure if we ever get over culture shock...I´ve been about 15-16 yrs in Spain now and still can´t get my head round the meal timetables and siesta! Oh that is interesting. Meal time when we are in Portugal really gets to me too. Tough for kids I find. Hi Annabelle, I will move to Germany in July with mu husband (he got a job there) my 5 years old daugther and my 1 year old son. I am experience anxiety about the moving, my english is good enough and my german is terrible. My daugther is prepared to start grundschule by age but she has zero knowledge of german. We are from Mexico and as you say cultural shock will be huge!! (It already is) I lived in Germany 14 years ago as a student and I enjoy the student ambient but couldn`t live with the weather (lived up in the north, beautiful city, horrible wet gray sky all year around), this time we will move to Karlsruhe and for what you write the weather is better in this area, and people well, Germans are Germans, I have great German friends but have the feeling they are "rare" germans, more open and polite than the rest of they compatriots. I have greatly enjoy your post (I just discover them) and I must say that I think the roller coster feeling never ends, it just gets more flat because you decided to cope with the idea that you are never going to be/think like people from the country where you are living, including your own because now you have evolve to a new you, afected and transform by the culture around you, at least that happend to me when I came back to Mexico. *Sorry if my grammar-writting ist`n the greatest I have my english a little bit rusted!! Hi, you are right. We choose to accept what we get given. You are moving to Karlsruhe? How amazing. Feel free to contact me (by email or through my Facebook page). I would love to help out if I can. Thank you Annabelle, I Will!